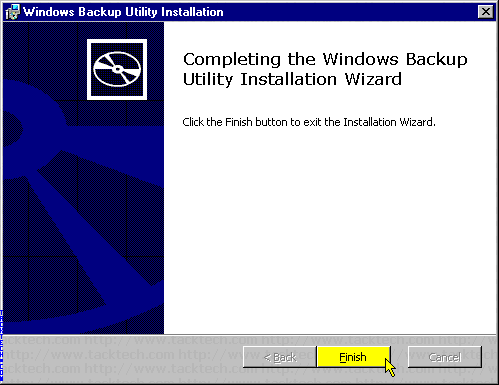 Installing NT Backup on Windows XP Home. (Windows XP) - TACKtech Corp. 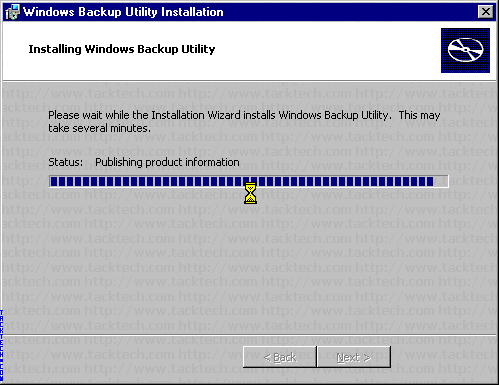 Installing NT Backup on Windows XP Home. Windows Backup is not installed on Windows XP Home. Insert your Windows XP Home CD. Note: In this article the CD-ROM is shown to be drive letter D:. Note: Some manufacturers, like DELL and HP, don't always include NTBACKUP on the Windows XP CD. Read the additional information in the file README.TXT. NTBackup Backup/Restore and ASR release notes Backup/Restore ASR 1. ASR is not supported on home edition. IF you install NtBackup from the CD to the Home Edition, ASR functionality will appear to work fine during the backup session. Since the setup does not support ASR in the home edition, there is no way to initiate the ASR restore in case of a disaster. If you need to restore from this session, install Windows XP manually and then restore from the ASR media. 2. Backup to CDRW If you decide to backup to a CDRW, you cannot target that device directly. You must create a backup set of 650MB or less and backup to a file. After the file is complete, copy the file to the CDRW. Please refer to the readme for XP home edition for additional notes.